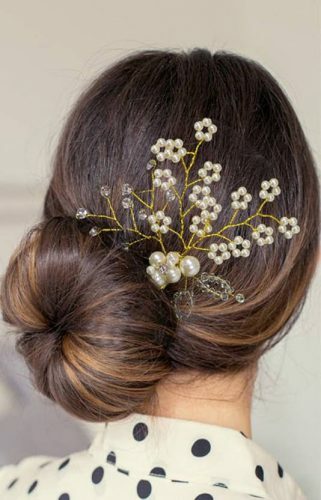 15 Stylish Hair Accessories To Make Your Hairstyle Prettier! This story was updated in January 2019. It’s amazing how a tiny hair accessory can have such an enormous impact on your entire outfit and look. While getting ready we all take the proper time to decide the outfit, but we often forget that our hairstyles also need some accessory to look even more pretty. And to make your work easy here we have mentioned stylish hair accessories for women that you can adorn to slay the look. These babies not only complement your hair but also your personality. Do you know what’s even better? They’re all just so affordable. Feel free to take your pick, ladies! 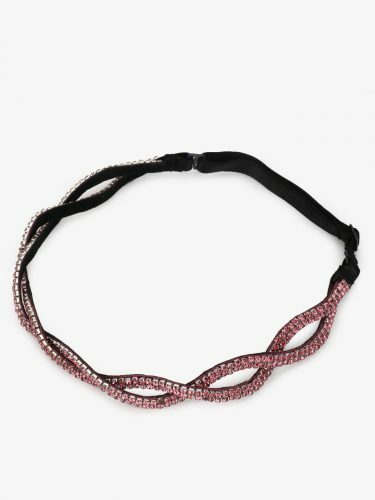 The entangled glitter detail hairband is made of Polyurethane (PU) material in a breaded style and has glitter details in pink colour. If it ever gets dirty, you can simply wipe it with a soft cotton cloth to remove the dust and it will be again as shiny as it was. Price: Rs 295. Buy it here. 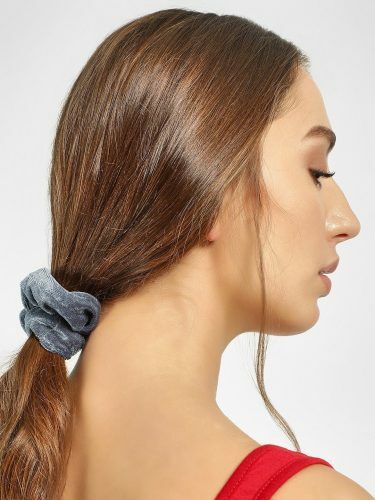 These hair scrunchies are made of velvet material and are so smooth and soft that your hair won’t fall out when you will take it off. It has an elasticated body and comes in a pack of 4 hair scrunchies. Price: Rs 299. Buy it here. This hair band is made from metal material of high quality and has a designing of leaf shape. It is embellished with diamante and has a golden tone to it. 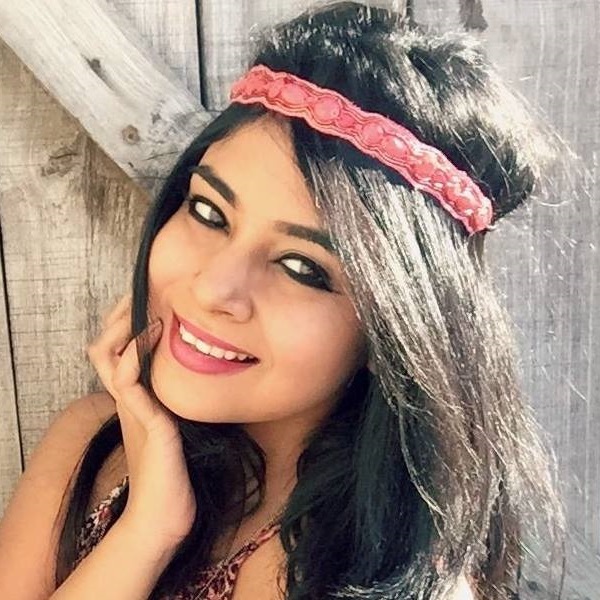 These hair bands are in trend nowadays and you can also adorn them with traditional outfits. Price: Rs 279. Buy it here. 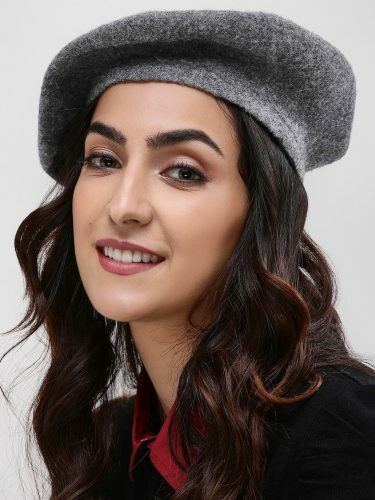 Wearing a beret cap is a raging trend and is worn by many influencers and bloggers this winter season. This beret cap is available in the grey colour that goes with almost all the outfits and it also has curved cuffs that look really stylish. The checkered aria knotted headband is made of cotton material and has a bow made on it which looks really cute. Also, it is elasticated which makes it easier to wear. Price: Rs 349. Buy it here. 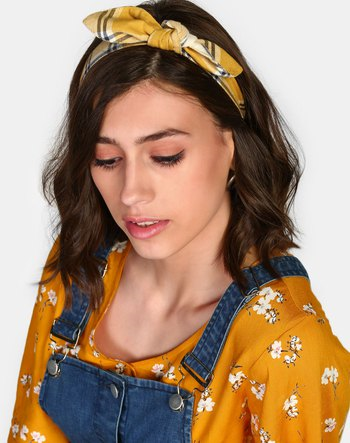 This headband’s print is inspired by boho style and in the front side, it overlaps which makes it look really unique and stylish. 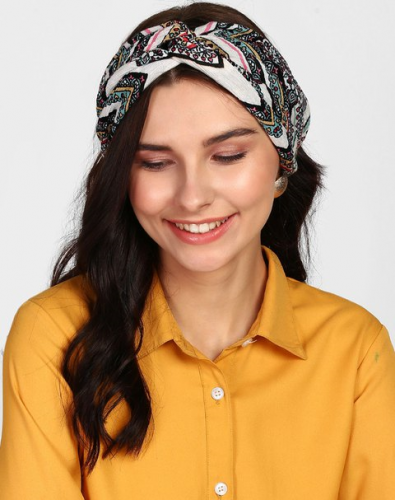 This headband is made of crepe material which makes it suitable to wear in every season. Price: Rs 399. Buy it here. Love the ocean and its creatures? 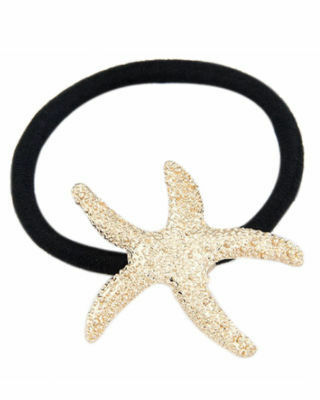 Well, now you can show your love by wearing this adorable starfish headband. It’s vibrant, fun and pretty interesting! Price: Rs 199. Buy it here. 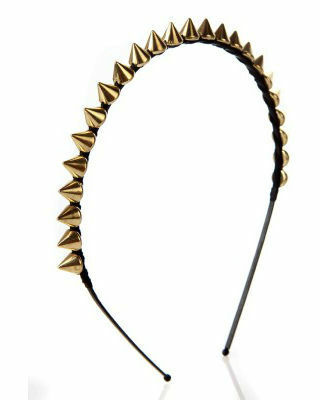 Are you ready to rock the party with this spiked headband? If that’s a yes, you’ve picked well. You can either wear this baby while keeping your hair loose or while tying a high ponytail. Both styles will make you look pretty darn amazing. Price: Rs 209. Buy it here. This hair accessory is made in the leaf shape and comes in a pack of two. It has a golden colour which makes it suitable to adorn with traditional dresses as well. You can simply use them on the bun or side part your hair and clip one section upwards using such stylish hair accessories. Price: Rs 359. Buy it here. 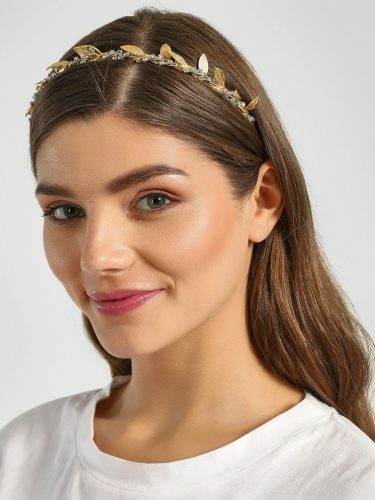 This headband tiara is a perfect pick if you are going to be all dressed up like a princess. 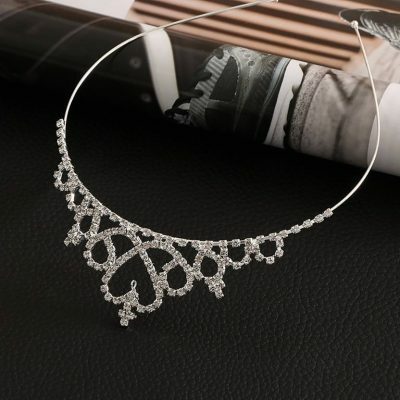 It is available in silver colour and looks as riyal as the crowns given to the winners of beauty pageants. These hairpins are basically the pins that we use to set our bun in shape. They are of golden colour and has little pearls on it which makes it look completely stylish. Price: Rs 399. Buy it here. This tiara band is one of the most popular hair accessories for women. 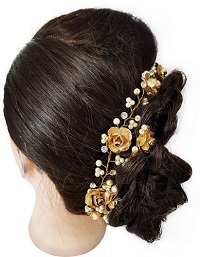 This hair accessory goes with all the outfits as it has a golden and brown colour and is studded with pearls which look really pretty. Price: Rs 599. Buy it here. This princess crown hairband is studded with silver artificial diamonds that looks so royal at a very affordable price. It is made of alloy material which makes it highly durable. Price: Rs 389. Buy it here. 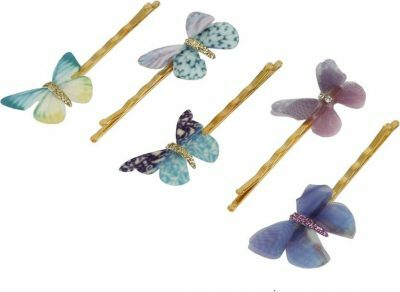 These butterfly hair clips come in the pack of 5 and have multicolour. 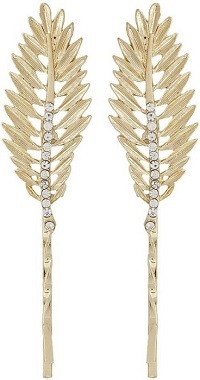 This hair accessory looks really cute and you can adorn it with one piece dresses. Price: Rs 391. Buy it here. These hair clips have sunflower shape that looks really good. They are basically the bobby pins that make it easier to keep the hairstyle in place.